Idzai Mubaiwa, immigrated to San Diego from her native Zimbabwe in 2002 as a refugee with her husband and four daughters. Her first order of business upon arrival was to find land to farm, and a good school for her girls. 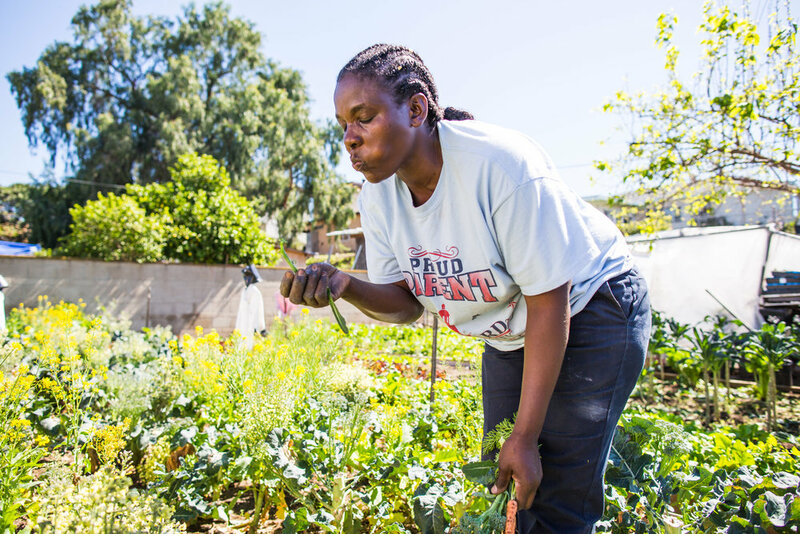 She got her start through the International Rescue Committee, with a 30- by 40-foot garden plot next to her sister’s Tsitsi in downtown San Diego. 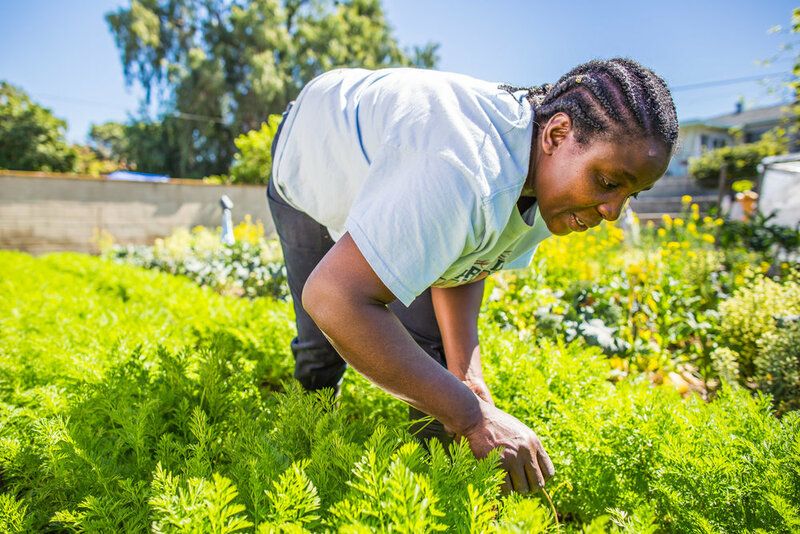 Together they sold their vegetables at local San Diego farmers markets as African Sisters Farm. When her sister died from breast cancer, she took over her plot and kept expanding from there. Now she leases and farms four backyard lots within the city limits of San Diego. She told me as we walked to the back of the house to see one of those backyards that because it was winter and her farm was brown. I reassured her that I live in the Pacific Northwest and our farms are brown or under flood water and sometimes snow. I laughed when I saw her version of brown. It’s pretty green. Before her farming day begins, she drives an airport shuttle bus starting at 4am. She hopes to quit that job one day so she can farm full-time - but in the meantime she has put all her daughters through college with her farming income.